April 17: Wyoming Food Bank of the Rockies Mobile Pantry will be in Marbleton/Big Piney - Free food to community members. No eligibility requirements, membership fee or restrictions. At the Southwest Sublette County Pioneers Senior Center in Marbleton from 3:30-4-5:30PM. Made possible by a generous donation from Jonah Energy LLC. April 17: 50th Anniversary of the Green River Valley Cowbelles/Cattlewomen - 6PM, Big Piney Library. Celebrate with an informal meet and greet hour with appetizers and history slide show. The GRVC is a non-profit organization of dedicated local women whose objective is to develop educational awareness of beef and to promote a better understanding of the various roles the beef industry plays in the environment and the economy. The Sublette County Rural Health Care District Board will have a regular meeting on Wednesday, April 17, 2019 at 5:00PM at the Marbleton Town Hall. Here is the agenda. Celebrate the 50th Anniversary of the Green River Valley Cowbelles/Cattlewomen (GRVC) with an informal Meet and Greet at the Big Piney Library at 6:00PM on Wednesday, April 17th. The GRVC is a non-profit organization of dedicated local women whose objective is to develop educational awareness of beef and to promote a better understanding of the various roles the beef industry plays in the environment and the economy. Appetizers and history slide show. Everyone is invited to a Community Easter Egg Hunt and Lunch on Saturday, April 20th starting at 1:00PM at the Sublette County Fairgrounds. This free event is hosted by the Summit Church in Marbleton. There will be hunts for various age groups, from toddler through teen. Summit Church will also provide a free hotdog lunch. Wyoming Health Fairs will host a Wellness Screening in Pinedale on April 18th, from 7:00am to 10:00am. This event is open to the public and will be held in the conference room of the Wyoming Game and Fish Department Office located at 432 E. Mill Street. WHF recommends you drink plenty of water and take medications as usual. WHF also recommends you fast for 12 hours prior to your blood draw, unless diabetic. Eligible State of Wyoming Health Plan Participants get a free blood chemistry panel and flu vaccine. Others will have to pay depending on the tests they request. The blood chemistry profile is $40. For questions please call Wyoming Health Fairs at 800-979-3711 or the Game and Fish Office at 367-4352. Pinedale High School and Skyline Academy students have an excellent opportunity to learn job skill training and participate in a paid internship with local businesses this summer. The Ready for the Workforce Program is facilitated by Sublette County Chamber of Commerce and Sublette BOCES. It is designed to provide career and workforce readiness to high school students and connect them with someone in the community who is in a workforce pathway or career they may be interested in. As part of this program, students are required to bring their completed resume to the job fair held at Pinedale High School on Friday, May 3, 2019. An optional resume writing workshop will be held Tuesday, April 30, 2019 at 6:30pm at Sublette BOCES. Sponsoring businesses will schedule interviews with intern applicants and announce selections after May 24, 2019.
https://www.subletteboces.com/ready-for-the-workforce-program/ and provide one letter of recommendation either from a teacher or community member that explains why you would be a good candidate for this opportunity. Completed applications and letters of recommendation can be emailed to kraney@sub1.org or dropped off in person at Sublette BOCES (665 N. Tyler Ave.) in Pinedale, by Friday April 26, 2019 at 4 pm. The Pinedale Theatre Company board of directors has chosen "Beauty and the Beast" as their 6th musical production for the fall of 2019, according to Managing Director Valerie Lee. "We are very excited about this project. The performance license has been purchased and the director hired so we can proceed," she said. According to Lee there will be an orientation workshop on July 30 for folks to learn how Pinedale Theatre Company conducts auditions. This workshop is open to anyone interested in trying out for the show. Auditions will be held at the Pinedale High School Auditorium August 7th and call backs will take place August 8th and 9th. Signup sheets will be available on the PTC website or at the workshop. The public performances of the show will be October 24th, 25th and 26th. The cast will include 25 individuals In addition to the musicians who play in the orchestra. Another 60 folks will be needed to sew costumes and build and paint sets. Everyone willing to help is welcome. PTC has produced 5 musicals: The Sound of Music, The King and I, Guys and Dolls, Oklahoma and most recently Oliver in 2017. For more information contact Valerie Lee at 307-367-3588. The Sublette County Democratic Party will hold a Special Meeting at 6 pm, Thursday, April 18, 2019, in the Boardroom of the Sublette County Library in Pinedale. We will elect people to serve in two county leadership positions that were not filled during the March reorganization meeting: Secretary and State Committeeman. We will also elect Precinct Chairs for positions that were not filled in November. "I encourage anybody to come who shares our vision of building a welcoming, prosperous community where neighbors look out for neighbors and where our young people can stay to raise their families instead of moving due to economic hardships" said Tessa Miller, Sublette County Democratic Party Chair. "We welcome you to join this hard working, visionary group of community leaders during this exciting time of growth for the Sublette County Dems." Precinct committeemen and women, who make up the voting members of Sublette County’s central committee, will vote for their county’s Secretary, State Committeeman, and Precinct Chairs. Any registered Democrat may run for an officer position. For more information contact Tessa Miller, 406-690-5870, sublette.wyodems@gmail.com. 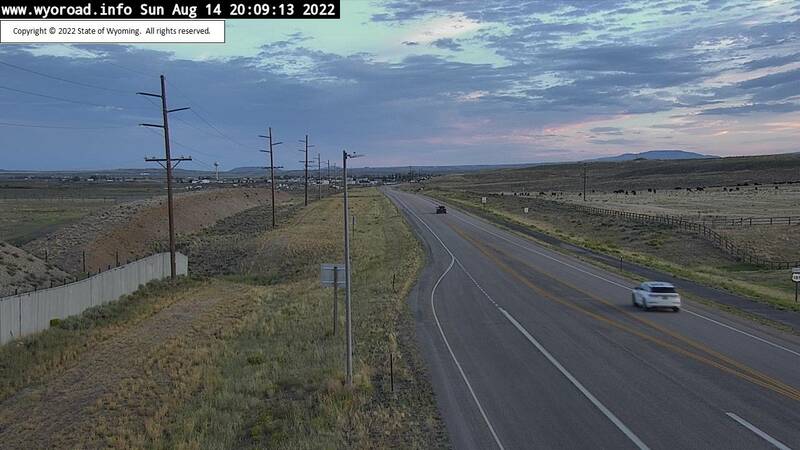 The Sublette County Rural Health Care District invites the public to join Dave Doorn, Administrative Director, and members of the Board, for two Q & A sessions on the future of health care in Sublette County. 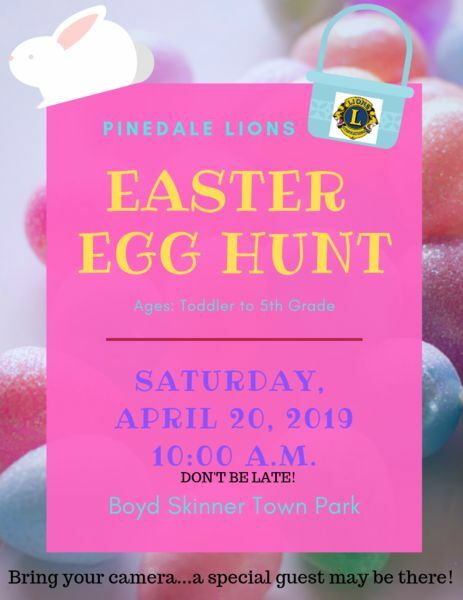 The Pinedale Lions Club will host its annual Easter Egg Hunt in Boyd Skinner Town Park on Saturday, April 20 at 10:00 AM sharp! Children from toddler through 5th grade are welcome to come and join in the fun. Don’t be late; you can’t hold back hundreds of kids from all that candy –toddler stampedes are crazy! The Easter Bunny will make an appearance again this year, so be sure to bring your camera. The Pinedale Lions Club has been putting on this fun event for the children of Pinedale for over 25 years. Please say thank you by sharing your story of how a nurse made a difference you will never forget! The regular forms can be picked up at the front desk at each Clinic.